PALMVIEW — Residences and commercial properties across western Hidalgo County will be outfitted with new water meters. Dubbed a “smart” water meter project in a news release Wednesday, the Agua Special Utility District officially announced plans to upgrade water meters for customers through the new Advance Metering Infrastructure, or AMI. Accurate water flow measurements are among the expected benefits in addition to no moving parts on residential and small commercial meters; reduced maintenance costs, online access to water usage information for customers, and more “accurate” customer billing. It is unclear, however, exactly how this change will affect customers’ bills, and interim General Manager Jose E. “Eddie” Saenz did not return a request for comment. “Replacing old and outdated water meters with new smart meters will ensure that Agua SUD can accurately track water usage and reduce manual work processes,” the release stated, further noting that meters will no longer need to be read manually as water usage will be tracked and reported instantaneously. 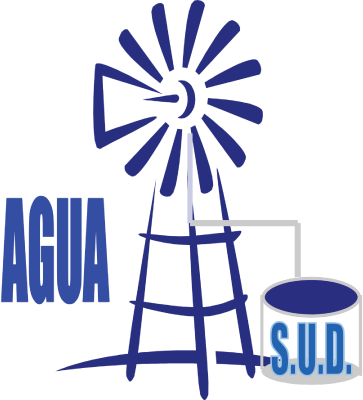 Through this project, 14,706 commercial and residential water meters used by Agua SUD customers will be replaced with more accurate meters. In March, the board approved M. Garcia Engineering LLC of McAllen, which has worked on projects throughout the Rio Grande Valley, as the owner-representative for an energy savings performance contract with Performance Services Inc. — an Indianapolis-based construction and engineering company. The contract with Performance Services Inc. is worth $7,665,256, which is paid for through Agua’s existing operating budget, according to the news release. The company projects it will save Agua SUD $816,086 over 15 years with the project through the installation of new and energy-efficient equipment, including electronic meters, lighting and other components. The installation of the meters is expected to begin this month and continue through December. Customers will be notified by mail and a door tag that will be placed once the meter is installed.